The Port Authority’s internal complaints process allows the organization to gain valuable information from the people it serves, and allows the organization to improve its reputation as one of the best public authorities. Information given by people complaining often contains useful criticism. Complaints made by the public can provide valuable decision and policy making information to management as well as highlight the challenges faced by employees. Complaints should preferably be written on the “Complaint/Witness/Information Report” form. If the complainant does not want to commit in writing, the person receiving the complaint should still complete the Complaint form, making a note on the form, that the complainant does not want to make a written report and pass it on to the Manager of the respective section for his/her evaluation as to whether further action is warranted. The manager must notify the Manager, Human Resources or in her absence the Cruise & Security Manager. Complaint forms are available at all Security and Reception areas and should be handed in to the Manager of that area. A duly signed copy of the complaint must be returned to the complainant. Managers will investigate complaints relevant to their section unless it involves a case of sexual harassment, or misconduct by a manager in which case it will be referred to the Manager Human Resources or in her absence, the Cruise & Security Manager. Time – For complaints not immediately resolved, contact will be made with the complainant within two (2) working days acknowledging receipt and progress made in the investigation of the complaint. Investigation – All relevant information must be gathered. Realistic Expectations – The complainant should be told that making a complaint does not mean that a decision will be reversed, and that some complaints may take longer than others to investigate. Decision and Reasons – The process will be concluded with a written decision including reasons for the decision. The reasons will be given in plain language and in sufficient detail (judged in the light of the gravity of the complaint) to allow the complainant to understand the result. Remedies – Managers have authority to resolve most complaints which may be followed by a letter of apology where necessary. 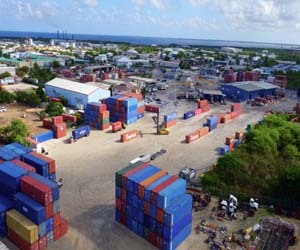 Matters involving compensation should be referred to the Port Director or the Deputy Port Director Operations for approval prior to any commitment being made. Share Result – At monthly management meetings, the management team will be briefed on the number of complaints received for the month and their results without going into too much details. Staff are trained in the process. 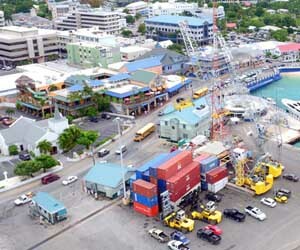 The Complaints Policy & Procedure with attachments is posted on the Port Authority’s website at www.caymanport.com.